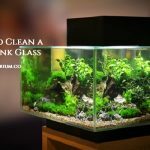 When it comes to pets and especially your fish, it is vital and essential that they are stored in a safe and clean environment and that means their primary residence, the glass aquarium. The fact is fish can get sick if their immediate surroundings are not maintained regularly – such as Aeromonas, which incidentally is a type of bacteria that is commonly found in aquariums that have been poorly maintained. 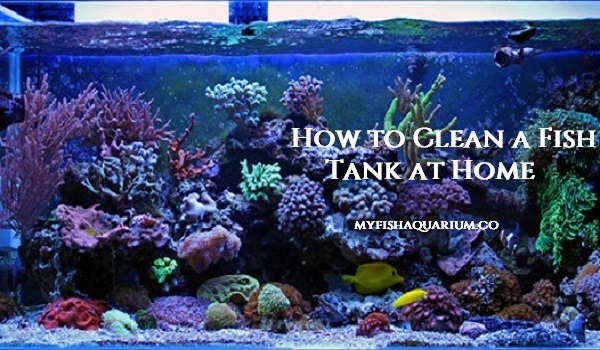 That’s why it is important to know How to Clean a Fish Tank at Home. 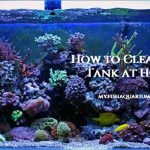 If you have just bought your first aquarium and are wondering how to clean a fish tank at home, then do read the various tips posted below. Incidentally, you do not have to remove all the water to clean your tank regularly but that’s getting a tad ahead. So you are planning to clean your fish tank – that’s great but it is important that you have all the essential supplies for the same. 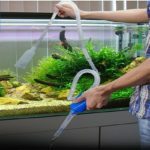 You would need a siphon gravel vacuum, algae scraper or pad or you can always go in for the magnetic variant, a large bucket (one that you use only for cleaning your fish tank), new filter as well as new filter media, clean cloth, prepared water to refill the tank, water testing kit, powerhead and heater, strainer, safe storage bottles for storing the fish as you clean the tank. And, last but not least, a salinity probe especially if you have a saltwater aquarium. These are some of the supplies that you would need, before you can get started. Also, remove the large decorations that hog the space at the bottom of your tank and replace them, post clean up. 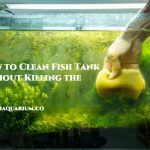 Before cleaning your tank, you first need to remove the water from the same. You may want to store some of that water for restocking the tank with the same. One of the reasons that you would want to use the old tank water is to ensure that some of the bacterial colonies are retained. The first thing that you need to do is to remove and store the fish, carefully and safely. Then, you may want to move onto all the ornaments in the tank, and remove the same as well. Once this is done, use a siphon to remove most of the water in the tank and store the rest carefully for later use. 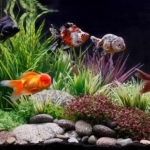 Once you have worked out the intricacies of how to clean small fish tank, you can start with the cleanup. You also need to unplug all the electrical equipment in your water tank including heater, filter and water pumps. Once done, you are all set to move to the next stage of the process. When it comes to a question of how to clean a fish tank at home, nothing beats the old hand – in other words, you would have to use a soft, wet towel to clean the exterior of the tank. Once that has been attended to satisfactorily, you can look at the algae stains and try and remove them. The best way to go about it is to use a magnetic algae scraper, which essentially consists of two magnets with soft felt clothing covering the same. Attach one of the magnets on the interior and attach the other one on the exterior. Now, as you move the exterior of the magnets along the exterior glass and over the area where the algae stains are prominent (on the interior), the magnet that’s been placed inside would move over the algae stains and remove the same effect. The thing about using your elbow grease to clean the interior of the fish tank is that you are bound to leave more than a few scratches on the glass. Whereas by using these magnets you can help prevent the same. And for cleaning the gravel, make sure that you use gravel cleaner so that it is clean as it is supposed to be. And if you have an acrylic cleaner, make sure that you use a cleaner that does not scratch the surface. It all depends on the sort of filter that you use for your tank; water filters need to be cleaned regularly, more so than the water tank itself. So make sure that you clean your water filter, replace the filters and reinsert it back into the tank after it has been thoroughly cleaned up. Once you have cleaned up your water tank and it looks good both on the inside and outside, you can move on to this last step. Make sure that you use good clean water, the sort that your fish are used to, and fill up your tank with the same. Once you have set everything up in order including switching on the water filters, heaters, you can go ahead and move your fish to the tank. So, this was all about How to Clean a Fish Tank at Home. When it comes to a question of how to clean an empty fish tank, the above-mentioned tips should definitely come in handy. And remember, you would have to clean your tank at regular intervals and take better care of your pets.